What Do You Think About This Ninja Warrior Advertising Technique? 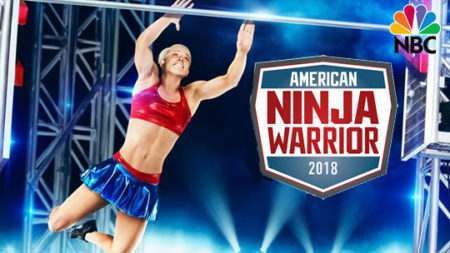 American Ninja Warrior is doing something a little different this season. At that point, the TV screen is divided in 2 parts: In the upper left is a commercial (video + audio), and in the bottom right is footage of X competitor on the Ninja Warrior course. Typically it’s an experienced, semi-famous competitor. Normally I skip the commercials for any show I’m watching…but without fail, I’ve watched every one of these commercial breaks in their duration so I can watch the competitor’s run through the course. Sometimes I mute the commercial, sometimes not, but it’s unavoidable. I’ve wavered back and forth on this advertising technique, but my current conclusion is that it’s brilliant and I wish the show would do it more often. In fact, I’d like to see other sports do the same thing. It seems like a win-win situation: I get to see more of the game/competition than I otherwise would, and the show benefits from more advertising dollars, as they’re getting more eyes on the commercials. What do you think? Does this technique make you watch through the commercial break? Or does it just annoy you? This entry was posted on Wednesday, August 8th, 2018 at 10:53 pm	and is filed under television and tagged with television. You can follow any responses to this entry through the RSS 2.0 feed. Soccer does this quite a bit, and auto racing too – it’s not that rare in sports where the action never stops. It is rare for a show that is edited and could easily not do it. I watch the commercials too – and at first I thought “oh, they’re not going to have the Eskimo Ninja fail while they’re in commercial…” but then he did. Brian Arnold failed during commercial – I feel a bit cheated, I wanted to see his full run. But – if they make more money by doing this, and are able to pay the athletes appearance fees or something (I assume they are making something at this point) – then I don’t mind … too much. Nice! I haven’t noticed it during other sports, but it’s neat to hear it’s not an isolated practice. As you said, I would prefer for the athlete to finish their run live (at the tail end of commercials) than during the commercials. Smart idea. With kids and busy schedules, we record all sports (ANW included) and watch commercial-free later for efficiency. This gets us watching (sorta) these commercials again. I like it only for this kind of show. I don’t need to hear Matt and Akbar making dad-jokes during the run to enjoy it lol. I wouldn’t want to see it with a show that has a narrative though. I like their Dad jokes! 🙂 I actually laughed out loud at the cheesecake bit in this week’s episode. I’m not a fan of it. ANW does a lot of things to signal the outcome of a run, from talking about how fast they are and putting up a comparison clock, to hyping up an individual the entire episode. However, as soon as the commercial run starts, I know it’s a well competitor that’s going to go far into the course but not finish. It’s happened every week the same way. I also find that without the commentary, I don’t care as much because I’m distracted by the half of the screen that’s making sound. I’d honestly rather wish they just skipped the run and showed a fast forward after the commercial break. Kellen: I definitely agree that I think they should offer a greater variety of runs for the commercial footage. Otherwise they become a bit too predictable. I find it interesting, but I’m more curious what advertisers think. How often do you come away from that ad break having any idea what advertisements were just played? Which begs the question, is an ad spot have value if no one is looking at the ad? That’s a good question, and I’m not sure. I just know that there’s at least a chance I’ll learn something from the ads if they’re on the screen, which isn’t the case when I typically watch recorded shows.